Christmas is right around the corner, and boys stocking stuffers are already flying off the shelves. I’ve always had a great time searching for gifts for my boys, and this list is no exception. I love everything on this stocking stuffer list, so much, that I would love a few myself. But, I am sure once the boys get these, they will be sweet and share with their ol’ mom. Have fun shopping! These have to be the coolest stocking stuffer. I can get this for my son, but I am going to use this, too. 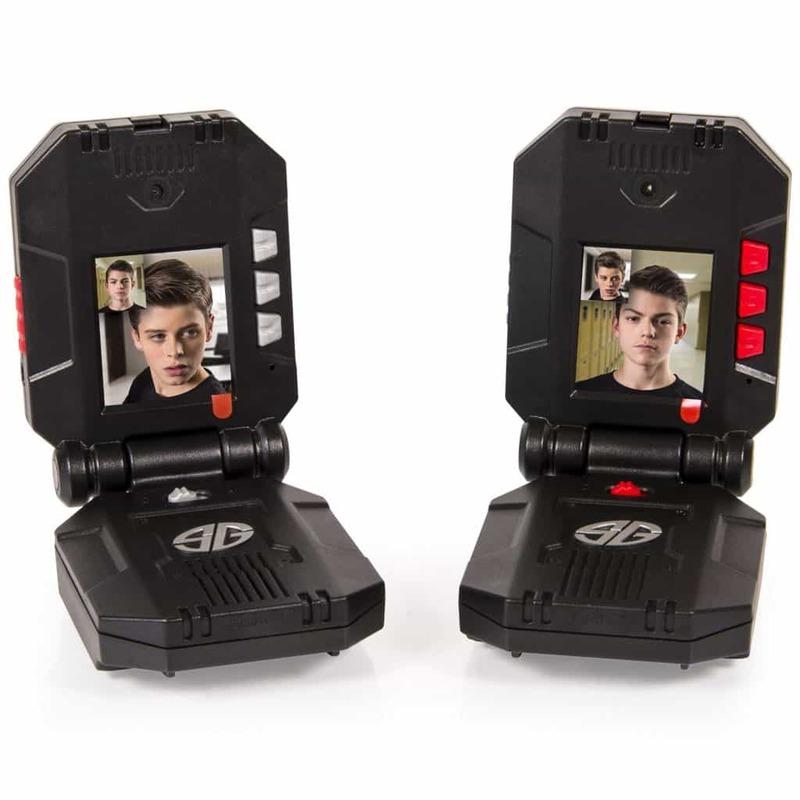 The walkie talkies are Spy Gear and can be used up to 160-feet from each other, and don’t even need Wi-fi! Click here to buy some now and make that little boy giddy with excitement. Ok, bear with me on this one. My older son has one of these nose pencil sharpeners, and he gets all kinds of funny comments from his friends. He loves it, and it has lasted a couple of years. It’s a great gift to “pick” out of a stocking. 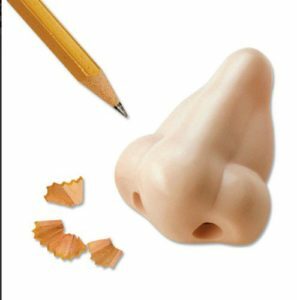 Click here to get the Nosey Nose Pencil Sharpener and “pick” all kinds of fun. Ha ha! What kid doesn’t like Minecraft? These are fun little plushies that boys will love, no matter what age. Minecraft seems to continue in popularity and isn’t going away. I was pretty leery at first but discovered that kids are learning math, reading, and science from the game. So, if there is a game you are going to push (I’m a bit anti-video games, but this one is a good one to encourage), Minecraft is the one. Click here to buy the Minecraft plushy for your little man. Quadcopters are becoming popular among not only adults but kids. Quadcopter stocking stuffers are geared more toward your older boys. I would buy this for my 10-year-old. It’s cool, doesn’t take too much to operate it, and if it breaks, you aren’t out too much money. These are a ton of fun for the entire family, and will hopefully get those kids outside to play. 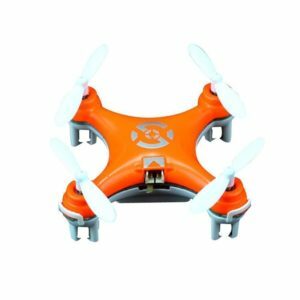 Click here to purchase the quadcopter. 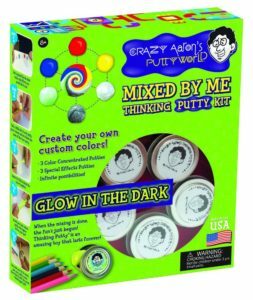 I’d never heard of Crazy Aaron’s Putty until we had to buy a gift for a birthday party. The little boy turned 11, and this was on his request list. Turns out, this was the hit of the party. He was THRILLED to get this box of putty. Personally, I would never have guessed it would be a hit, but it was. You can make popping and cracking sounds, shatter it with a hammer, and do some seriously cool scientific things with it. So, if you want something different, Crazy Aaron’s Putty is it. Click here to order a box of the putty. This stuff is amazing. 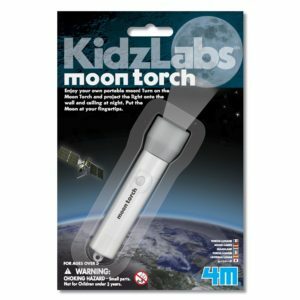 I so desperately want one of these moon torch flashlights for myself. I’d lay in bed until I fell asleep looking at this moon. Santa is going to get one of these for the stocking, and I know it will be a hit. Click here to get the moon torch. If you want your boys to have a little creativity in their life, this is it. They can create a duct tape wallet that will be unlike any other. They are tough-looking, come with helpful templates, and are easy to make. 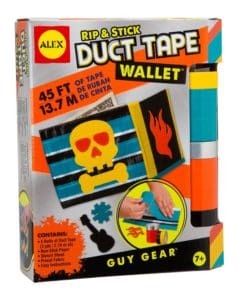 Click here to order the Rip and Stick Duct Tape Wallet. The more I write this list, the more stuff I want in my stocking. Do you remember the days of adding things to your bike? A new seat, straws on the spokes, and now Spokesters can be added. 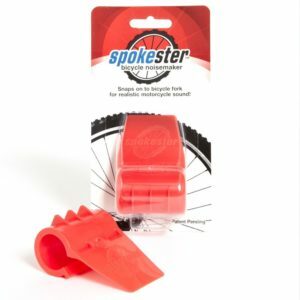 Spokesters come in different colors, and make your bike sound like a motorcycle when they hit the spikes. Wouldn’t you like to be that kid that rode down the street sounding like a motorcycle approaching? So cool. Click here to get Spokesters. You knew something gross was bound to be in this blog post. There is nothing on this earth that will make a boy laugh faster than a fart noise. They will LOVE this toy, but brace yourself, because you are going to hear farting noises for ages–and a lot of giggles. Click here to purchase the Fart Whistle. It’s time to bring back the family games. 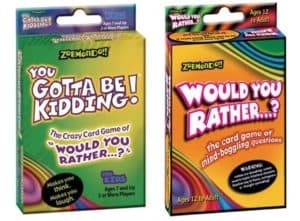 My kids are constantly asking truth or dare questions, so this double pack of games will get them thinking. And by the way, these games got great reviews on Amazon. Click here to purchase the two games together. Great ideas! My little boys are now big boys with their own little ones. My grandson will love these from us. Thanks for the ideas. As a grandma, at times, it is hard to understand what their little minds like. Thanks! Glad you like the ideas. Boys are so much fun! Happy holidays!